Ok - so it's +40C. Hot. So you want cold ice cream. And here comes the tricky part when your in the middle of a heat wave - get ice cream from the store to your house and still be ice cream when put in the freezer at home. Pick out the store closest to your house. With all your other items on your list already in the shopping cart, you put the ice cream in your shopping cart last, and when you know there are open spots at the check out. Wait if you have to. You do not want to be stuck in lines with your ice cream. After having your bags packed, you run (in the heat mind you) to your car - that you have strategically parked close to the entrance. Throw the bags in the car (you have already made sure that the trunk is away from the sun) quickly and jump in. I don't encourage speeding or running stop signs or red lights, but a little creative and power driving could save that ice cream. Once in your house, the optimal plan is to have someone ready to take the bag with the ice cream as soon as you've stopped the car. And - don't forget to have made space for the (usually pretty big) container in the freezer before you left desperately for the store! With this plan your ice cream should have survived. Now you only have to wait for the kids to fall asleep. Or at least until Google has closed the security hole found by virus-spammers... Don't you just HATE these guys (and maybe occasional girls??)!! The function "mail-2-blogger" that I've been using to post from my cell phone (using the e-mail function on my smartphone) is now insecure. Oh, well. At least it's Friday! Do we want to get out of the car? 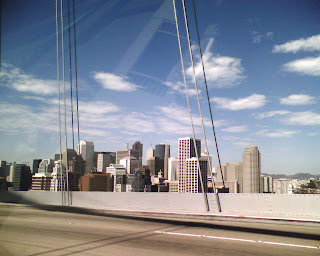 We're on Bay Bridge on our way back home. The bridge will be closed for three days over the upcoming Labor Day weekend, making it difficult to get to and from the city. Traffic is pretty busy, but we can take the "diamond lane", the car pool lane since we're more than three in the car. We're on our way back to the car. 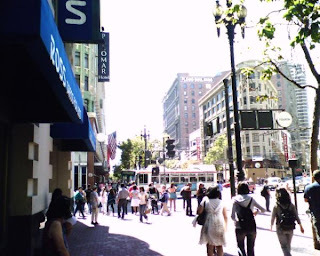 Weather is perfect in the city. There is a breeze here! Nice! 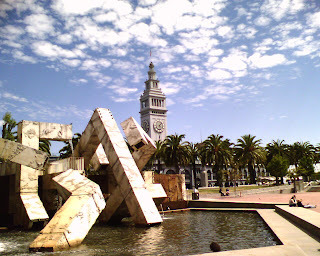 While the Husband made business phone calls we hung out in Embarcadero after a quick lunch. We quickly took off for San Francisco to pick up the Husbands's Swedish driving licence and get the son's passport process started. With a few moments to spare we arrived in the consulate. Phew! Traffic sure was on our side today. I've been thinking about it for years, and today I finally signed up (got my "bum out of the wagon" as we (might...) say in Swedish - haha) for a CPR*/First Aid class, organized by our City. I know only the basics from reading, but in October I'm finally going to get myself some hands-on practice. Who knows when you might need it. I was the only one signed up so far. Does everyone all ready know this? I'm I the last one! I just got an e-mail from Croatia. The hotel where we stayed has just sent me an e-mail (I have a vague memory of me giving my business e-mail address during registration process). Now mind them, I was only there for five days and that's way too short to pick up the language, at least beyond "Poštovani". Which means "Hi" (if remember correctly). Anyway, I had a good chat with the Daughter's teacher about multilingualism, about my daughter's strongest language still being Swedish. I'm not in any way worried about her - she is ready and all that. But I know the first few weeks will be hectic for her when she has to switch to English. And I want to make sure she is surrounded by people that think being bilingual is a strength and not a burden. The next few weeks will be really interesting from a multilingual perspective... to see how the Daughter's English will explode. I hope. Ok. I'm done with this heat! It's 9.08 pm, pitch dark but still +32C outside! Gaah! I don't mind the sun (after all I've chosen to live in California) - but does it has to be so darn hot! I can't wait to open up all the windows and clear out the air in the house. Feel a cooling breeze. I'd like to apply a little Swedish "lagom" to the weather. How about a +23C? And a few clouds now and then. Oh, well, fall will come to our part of California. Eventually. Then I will be cold. But maybe the recipients won't remember receiving the bottles. I have had Pisco once. The host had made welcome drinks based on Pisco. I had one (1) and three hours later the only thing I vaguely remember of those hours was dancing (thankfully not on top of a table) (I think) and then sitting on a balcony eating pizza (very unclear on how I got to the balcony and from were I got the pizza). That was my first and last drink of Pisco. Unless there is something I really don't want to experience (like having to watch a golf tournament on TV or something), I will stay away from the stuff. Ok. Yesterday I was facebooking. Tonight I was craigslisting... Craigslist is an online... marketplace for everything.... job ads, services and for sale items in a very simple (and ugly) interface (yes, initially founded by someone named Craig). It's like a local eBay without the bidding and before the web designer got to work. But in all its simplicity it really fulfills its purpose. I've put up some of our baby stuff for sale, items way too complicated to pack to be shipped off somewhere in the US using eBay. Items needing to be picked up by the seller by car. Ok. So there is a hype about Facebook. And since I'm curious, I had to try it out. So now I have a Facebook profile. I mean 34 million users can't be wrong. 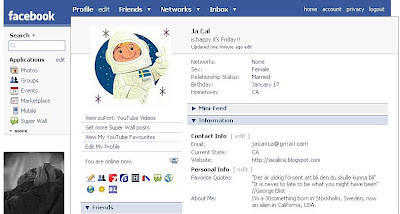 (If you would like to be my friend - I'm Ja (first name) Cal (last name...). 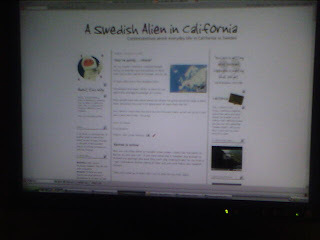 Ok, so as an Swedish Alien you read the morning papers and watch the news with an extra filter. The "Swede-filter". 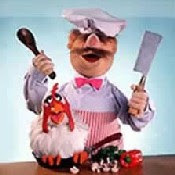 You might be hardly awake when reading the morning paper or half asleep infront of the nightly news but if the word Sweden is mentioned you are suddenly wide awake. Even if the news is about Bill Murray's DUI in a golf cart in downtown Stockholm during golf tournament... that I just read about in the morning paper here. I wonder if I will get questions on how we can drive around in golf carts with all the polar bears on the streets in Stockholm... Oh well. Stockholm was in the local news! 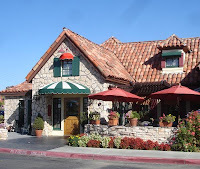 Today we had dinner at Mimi's Café one of those American restaurants. It's my daugther's favorite. The restaurant looks like a little cottage from outside. And - most important - they have Mac N'Cheese on the kid's menu. Which unfortunately is my daughter's favorite food (what is wrong with loving Swedish meatballs!?). Today she was in for a surprise (as was her parents!). 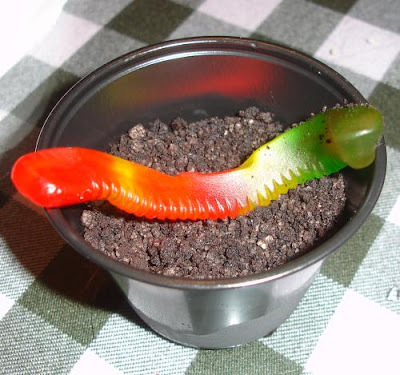 The new kid's dessert, that was served automatically with the meal, is "worm in soil". Or something. Jelly candy "worm" in a small "pot", filled with "soil" - crushed Oreo cookies. You sure wonder who came up with this idea. 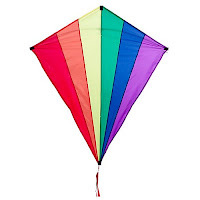 Daughter who just cut a romb out of a piece of paper: "Titta mamma, en kite!" Mom who wants daughter to keep track of languages: "Vilken fin! Vad heter kite på svenska?" Daughter thinks for about 2 seconds and answers "Dragon!" But I made it. And not once did I have to argue to bring my carry-on on wheels and my computer backpack. The only annoying incident was having to give up my crazily expensive bottle of water I bought at the Frankfurt airport (after passing security) to drink during my 11,5 hour long trip when suddenly an unknown second security line showed up before the gate. I'm back in the house in California. Which is nice in so many ways. Even though the bed and the pillows at the hotel in Croatia were fantastic - it's kind of nice to hug your own pillow again. And for the first time in almost a week I drank milk again. 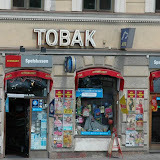 (Once I turned on my cellphone back in the US, my posts from Europe on my trip to Croatia got published, with five days delay - I updated the time stamp and let them be published if you like to see some of the (bad) cell phone pictures). I'm in a taxi on my way home. Almost there... It's been a long day. The roads are pretty busy despite that it is Sunday midnight. It feels good to be back in California. Home. Now all I need is 12 hours of sleep or something. 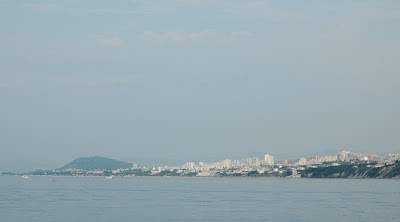 I spent half of the day relaxing on a boat on the sea and got to take a look at Split from the sea in the early morning in the sunny haze. A well needed rest. Tomorrow I'll start my way back to California at 11 am. I will (hopefully) arrive at home at something like 10 am Monday (Swedish time - 01 am in California). Maybe someone could file a proposition to move California a bit closer to Europe. Just a tiny bit. Or invent a beam machine. I spent a couple of hours in downtown Split today. Didn't meet or hear any other Swedes, but saw tons of Americans. 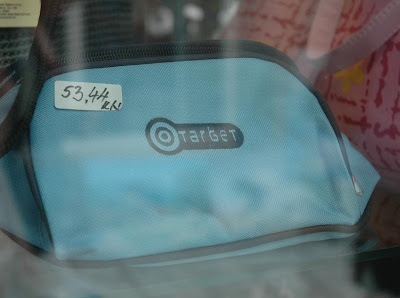 Maybe they would be interested in buying this turquoise Target bag? I haven't really seen much yet - I've been working all day and been in a conference room. The hotel where I'm staying is really really nice. And I'm very very jetlagged. Tomorrow I hope to get to see more - and not just see the pool from the conference room (the picture below). (and WHY does Blogger assume that just because I have a Croatian ip address that I want Croatian as my language? Very annoying and kind of tricky to change since I don't know any Croatian...). I'm in Croatia! 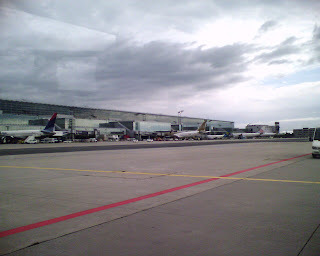 All my posting from outside US didn't make it to the blog unfortunately, posted from both Frankfurt and the airport here in Croatia (now I'm on my computer in the hotel room). I've managed to log into the Blogger-site in Croatian (right now I'm doing "Novi Post"). After 1,5 hours on tarmac in Chicago, we finally took off. It was a bumpy ride - but since I'm not afraid of flying I just let myself be "rocked" to sleep (I felt like a baby in a baby swing) and slept for almost 3 hours (well "slept" - you know what I mean). The rest of the time I spent watching half a movie (meaning I could only see the upper half of the screen), watching movies on my iPod and listening to Lena Olin's "summer" radio show, and reading. The flight was pretty quick. So quick the unorganized crew didn't manage to get me my breakfast (I was literally sitting in the LAST seat in the plane - 62 G) until 20 minutes before landing, without drink. After organizing myself in Frankfurt and giving myself a milkshake for breakfast (the smell of food was just too much) I finally found my next gate and then took off for Croatia. I just had time to listen to Maud Adams on my iPod - two Swedish-American Aliens on the same day! 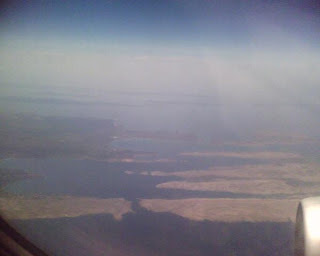 It was really interesting to go southeast in Europe - never done that - what a beautiful sight! 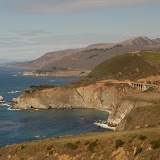 Rivers, mountains, sea, coastlines! 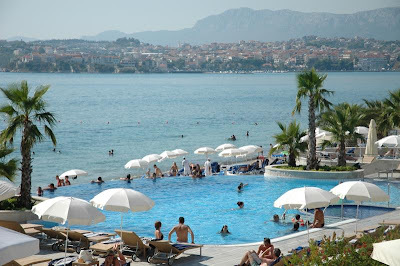 Croatia was warm - +29C (pretty normal from what my body is used to) and have a view of the ocean. Haven't had time to explore much yet, focusing on trying to keep awake. Dinner is at 8.30 - by then I've been awake for almost 30 hours. Have only (my bad) cell phone pictures and no cord (and no data connection on the cell phone) and haven't unpacked my camera yet - so pictures have to wait. Now I have to "OBJAVI POST". I think. Need a crash course in Croatian or figure out where to change the settings back to English. I have arrived in Croatia. +29C. I am pretty tired but will try to stay awake now. Hopefully I can hook up the computer. Now I can need a shower. 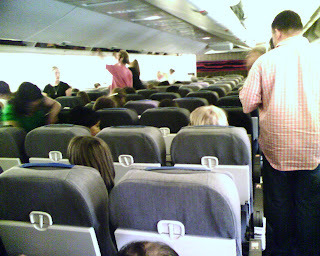 After waiting for 1,5 hours on the tarmac in Chicago we finally took off. We had a very bumpy ride - I felt like a baby being rocked in a swing and slept for 3 hours (Not as fun for those being afraid of flying...). Part from that I spent the flight seeing half a movie (Could only see half the screen), reading and listening to Lena Olin's "Summer program". The flight was very disorganized and I got my (them cold) breakfast 20 minutes before landing and without drinks. Now I am off for the next flight! I'm in the last row of the jumbo. Gosh my legs hardly fit (I'm a tall Swedish girl...)! Old plane. Only one movie screen up front. 30 something rows ahead. I rather be on a SAS plane... Oh well I got my iPod loaded as well as my computer. And a new book and new magazines. I'll do fine. And at least I am close to the restrooms. 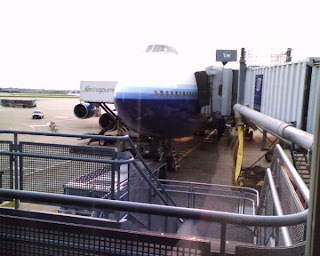 I am flying a jumbo! Cool! I am in Chicago. Didn't have to change terminals. For the first time I am flying international from terminal 1. 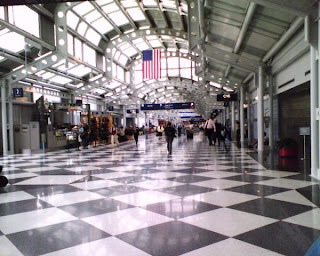 Chicago O'Hare is hot and HUMID as always. Now I have a 8,5 hour flight to Frankfurt. 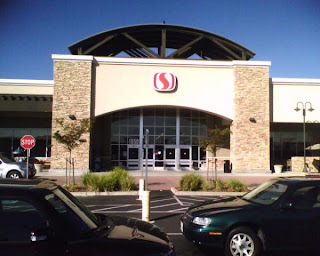 First stop: Safeway... Just stocking up on some cold medicine. Who knows what I might catch on any of the three flights. Next stop: The airport! Ok. This is kind of slow... But I like that it can be done! If I can get it to work. Ok, so maybe I shouldn't complain people mixing up Sweden and Switzerland or think that Oslo is the capital of Sweden and so on. At least they know that Sweden exist. Somewhere in Europe. Which is more to say about the average knowledge of Croatia. Most people here who have asked me where I'm going tomorrow keep a blank face, obviously not sure if I'm going east or west from the US. (and I admit it, I had to check the map to be sure of the exact location myself, only having a rough idea on where east of Italy I was going). Now you can shop online at Swedish store Lindex. 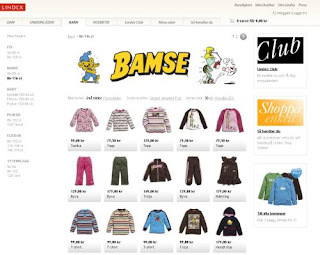 Lindex has the rights to Bamse, so now you can - if you have some one in Sweden nice enough to forward you package (because they can't ship internationally) to you that is - get cute Bamse clothes (being an alien you just love these very Swedish clothes). They only come up to sizes 116*, so it's only for you kids, haha. Ok, this wasn't too hard. I am sending this from my cell phone! Don't you love all the fun you can do! Now I can keep you updated next week! I've spent the Sunday packing. On Tuesday morning I'm off to Europe for a quick visit. My travel agency has been working hard to get me a decent itinerary going as straight as possible to Croatia from California. At one point I have a five stop trip... but now I'm down to a two-stop, Chicago and Frankfurt. And - I will spend almost 15 hours on my own. Reading. Watching movies. Dozing. Listening to my iPod. Just me, myself and I. Pure luxury! Too bad I have to enjoy it jammed in three different airplane seats. And I'm not talking about the artist. I'm talking about the movies about Beck, Swedish detective Martin Beck. Originally a book series, then movies in the 60s and 70s, and recently renewed as a movie/TV-series. We had a reason to be close to the Krispy Kreme today, the last day of operation. So of course we had to stop by to get our last donuts. The line was long! And they had to work hard to produce the donuts in the little factory behind the counter. People were buying boxes of donuts. So. 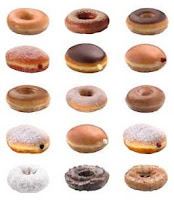 For the last time we got the steaming hot, fresh, traditional glazed donuts. Bye bye Krispy Kreme! SAS, Scandinavian Airlines, is not doing good enough according the "market" as reported by the news in Sweden. Too bad - out of pure selfish convenience I sure want them to keep their cross Atlantic flights running. Maybe I'm no food junkie. But I rather be able to gate check my tiny, umbrella stroller when travel with kids to and from Sweden like almost ALL other airlines allow. And not have to fight, cry, yell not having to carry my 10 kg, non-walking infant and tired 3 year old and two hand luggage after a 9 hour flight arriving at Arlanda... at that point, I really don't care about what food I was served..
Ok, no one said it was easy being a parent. But there is one thing that is harder. And that is being an alien parent. You have to refresh and learn children's song twice (Child: "Mom, can we sing "Ekorrn satt i granen" in English please". Mom: "Eeehh... the squirrel sat in the tree and was going to... skala... hm... kottar, kottar??..."). And you have to learn twice as many - both the main Swedish one AND the main American children's songs (you don't want to your kid to be left out...). Ring around the roses and bro bro och breja... these songs that makes absolutely no sense. You have to figure out the sound of animals in two languages (the frog says "ribbit" in English and "kvack" in Swedish). You have to be able to instantly translate when reading ("This is Nicke Nyfiken, oups, I mean Curious George, and he was a nice little apa, no, monkey"!). On play dates and in the park you feel like UN interpreter when your multilingual child plays with monolingual friends (switching between languages like a war was imminent and both parent and child need a big nap after to let the brain rest). Stay calm when the child switches like crazy between languages or blends randomly. Since I'm far away when there are birthday celebrations or other celebrations among friends and family in Sweden, I've become and expert in sending flowers (and considering the amount of flower bouquets I send over seas each year, I should be able to open a flower store on my own birthday... but somehow this is not really the case...). Anyway, I like sending flowers and it's really extremely easy (even though some recipients seems to think I've gone through hard work to get flowers delivered to the door across the world... it really only takes an online computer and a credit card...). I might not be able to stop by on a birthday, but at least I can have someone else knock on the door with something that smells nice. 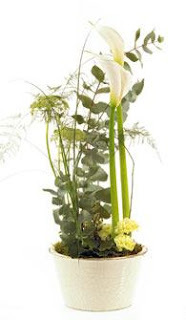 My only little concern is... what does the flowers really look like in comparison to the pictures on the florist websites? I'm sure each florist add his or her small, personal touches... and what if they don't have the exact flowers in the store that get assigned to deliver my bouquets? How much are they allowed change the design?? Is it very rude to ask the recipients to please take a picture and send back since the sender is so curious...?? We suddenly had cooler temperatures. 10 F degrees below average according to the excited meteorologists (who suddenly had some sort of Weather to talk about). Meaning we woke up to +14C Brr! After weeks with waking up to the sound of the poor AC trying to cool the house, we suddenly could use "natural AC" - open windows. I was a bit confused... +14C... Maybe I needed a sweater... or socks?? The "cold front" will last until Thursday. Then we're back to normal again. Until then I'm going to e enjoy wearing long sleeves in the morning (not really necessary, but it feels nice after weeks in t-shirts)! 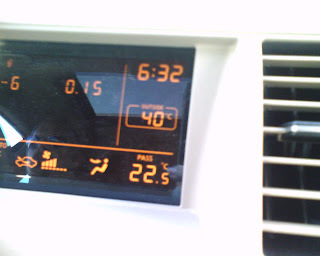 (and we ended up with +29 in the late afternoon, so we didn't really freeze...). Nika, a Swedish alien in Ohio, wrote about vacuum cleaners the other day and I just have to write a post about my new love - The Electrolux Pronto (or as it's called in Europe, the Ergorapido). I first saw this in my mother in-law's house a couple of years ago. Thinking it was a a pretty cool, designed appliance and that it must be good, because I know she gets things with quality (I'm still thinking about the best plan to somehow kidnap her wonderful dishwasher and move over here...). Then we got a crawler in our house, and suddenly vacuuming became not a weekly chore, but a daily. My Husband, the gadget freak #1 in this house (I'm #2), had the kids on his own for one day, trying to keep the kitchen floor clean, before he sneaked out to get a Pronto at Sears. Now this piece of nice Swedish (Electrolux is a Swedish company) design has a central role in our daily kitchen life. It's mounted on the kitchen wall, ready to serve, looking good. The kids, even the now walker, fight about who's turn it is to clean the kitchen floor (and THAT is really the only reason you need to get one...). In Europe you can get it in five different colors. In the US you can only get it in red (what kid of weird product decision is that??). But I don't care. I love it. 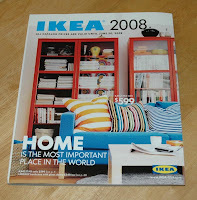 The American version of the IKEA catalog 2008 just arrived this morning. With the newspaper. IKEA might be big here, but not as big as everyone getting the catalog automatically in the mail. So the Husband read the newspaper at the breakfast table. I read the IKEA catalog. We made a visit to our favorite furniture store (part from IKEA), Scandinavian Designs the other day. When we checked out (getting a bed frame in maple for the Daughter) I asked about a bookshelf we had gotten a few years ago, wondering if it was possible to buy an extra shelf. "I remember selling that to you, it was me", the sales person said. It was four years ago. I had an appointment with my endocrinologist today (to make a long story short, I'm a "post RAI hypo" patient for those who speak thyroid-lingo). 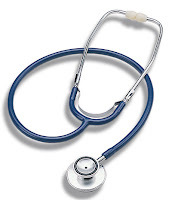 I had (knock knock) been healthy all my life, never visited a hospital, rare visits to the DRs office, so when my thyroid issues started a couple of years ago, I was not only new to US health care, but to health care in general. It was hard work to learn and understand and get comfortable. 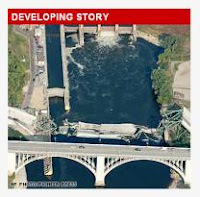 The major news story here today is of course the horrible bridge collapse in Minnesota yesterday. When something big happens here you have at least four national news channels to turn on, 24-7, to get the latest updates. You never have to wait for the next news program. I usually tune into CNN out of habit. But lately I've mostly gone online, to check out the news videos on the CNN website. That way I can choose to see exactly what piece of a news story I want to see, when I want to see it. One expert has said that the probability of the bridge collapsing is one in a billion. It's easier to wine the lottery. 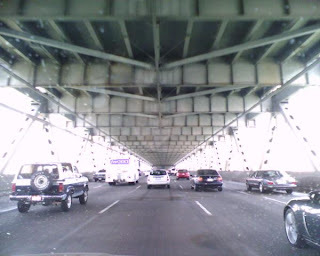 But I'll sure keep my breath when crossing bridges for awhile. I like the fact that the stores are open late here (Borders closes at 11 pm on Fridays and Saturdays!!) . Not only can I do my shopping without kids (which really makes the shopping experience a bit different...), the stores are pretty empty. But the best part is that you don't have to drive around the parking lot, trying to find a shady tree to park you car under (and with the sun almost straight up, it really needs to be big tree to offer any shade...) to try to keep your car a little bit cooler... at least to be able to sit on the otherwise hot seat when returning to the car. A starry sky is a great shade! (How can people choose black leather seats for their car... do they have a magic trick for how to wear shorts and not get burns when sitting down in their car on an ordinary summer day, a trick we aliens know nothing about...?? ).